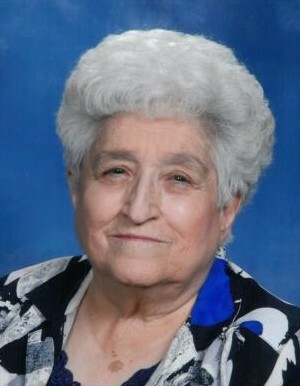 Rose Romo, 84, went home to be with the Lord on October 29, 2018. She was born September 1st 1934 in Mora, New Mexico. She is preceded in death by her loving husband, Delfino Romo. Rose lived for serving the lord, loved to bowl and attend church services on Sunday. Above all she loved her family and being Grandma Rosie Posie to her grandchildren. She is survived by her two beautiful children, Terry (Neal) Baca, John (Lisa) Romo; grandchildren, Errol Smith, J.T Romo and Aubree Romo. We will Celebrate her life on Thursday November 1st, 2018 at 10:00 a.m Pueblo Christian Center 1605 S Pueblo Blvd. In lieu of flowers, please make donations to the Pueblo Christian Center/Children Ministries.